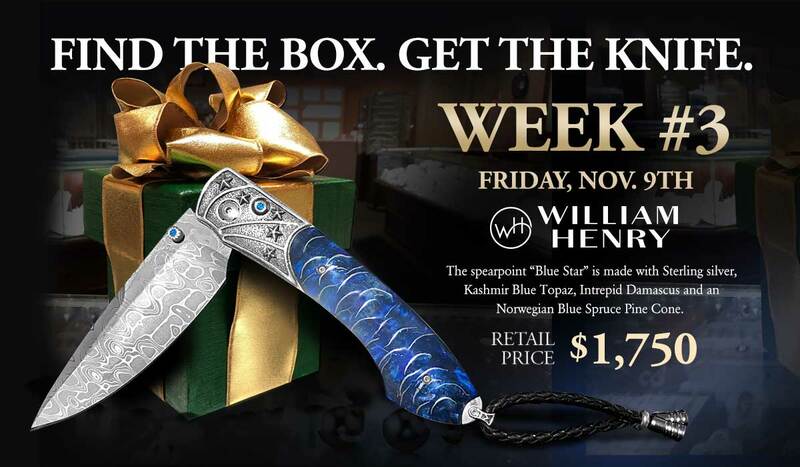 Our third week giveaway is a $1750 William Henry Knife, we just had to do this for all of those guys out there searching. The spearpoint “Blue Star” is made with Sterling silver, Kashmir Blue Topaz, Intrepid Damascus and a Norwegian Blue Spruce Pine Cone. If you haven’t heard of William Henry, they create world class knives with rare and eclectic materials. They also have a wonderful collection of men’s accessories and perfect for the man who is always hard to buy for. See some of the knives we have in the store and see some of the accessories. Also this Saturday, November 17th we’re having a William Henry Showcase… that means that we’ll have lots of awesome pieces in here just for the day, items that we wouldn’t normally have in the store. If you come into Windsor and hold a piece William Henry and you’ll get to see a clue a day in advance. #1 Clue, Friday Nov. 16th :: A notable name foreshadowing a demise. 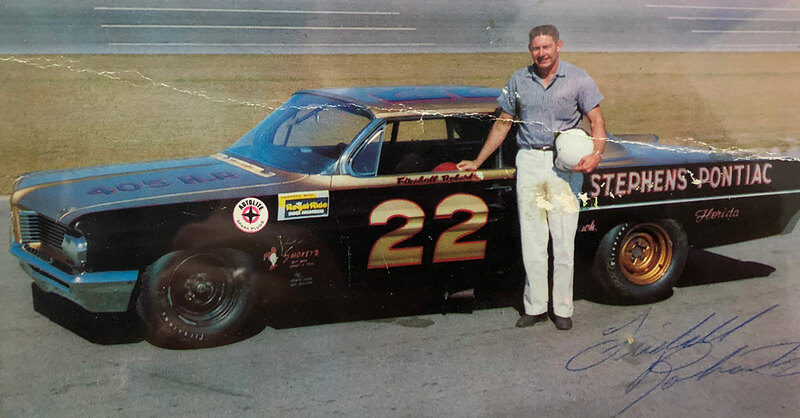 One the developers of the Augusta International Raceway was Glenn “Fireball” Roberts. He was a legendary Nascar Driver and the last race that he won was the Augusta 510 in 1963. He was involved in a firey car crash that led to his death in 1964. Fireball is a cousin by marriage to the Thompson Windsor family and Donnie was at that Charlotte race in 1964 when the accident happened. Here’s a postcard that he signed that we have. #2 Clue, Saturday Nov. 17th :: Left from the seven who give tribute to three. Left from the seven who give tribute to three. The Augusta International Raceway Memorial stands with three stone structures and seven benches face the memorial. Each bench has a special dedication carved into it commemorating a driver or event that helped make Augusta International Raceway part of the history of Augusta. If you stand among the benches facing the memorial, the direction of the box is on the edge of the old track to the left. #3 Clue, Sunday Nov. 18th :: Nearer to those who have lived, than to those who now rest. The location of the box was on the edge of a turn on the old race track, the next tract of land over is cemetery. #4 Clue, Monday Nov. 19th :: Once six different ways to glory. The plan was for 8, but the Augusta International Raceway had 6 different raceways; 1/2 Mile Oval, 3 Mile Road Course, 1/4 Mile Drag Strip, Kart Track, Micro Midget Track, Motorcycle Track. Two additional raceways were planned, a 2 Mile Tri Oval (started but not completed) and Hydroplane Lake (started by not completed). #5 Clue, Tuesday Nov. 20th :: The largest in a bygone era. According to Speedway & Roadrace History, the Augusta International Raceway was “Covering 1,100 acres, billed as the largest motor sports venue in the world at the time, the venue was opened to the public on the 1st of May 1960.” A huge crowd of 14,000 saw the green flag on November 1, 1964. #6 Clue, Wednesday Nov. 21st The box rests in Richmond County near the north of three miles. Once the box was placed near the northern edge of the 3 mile track.